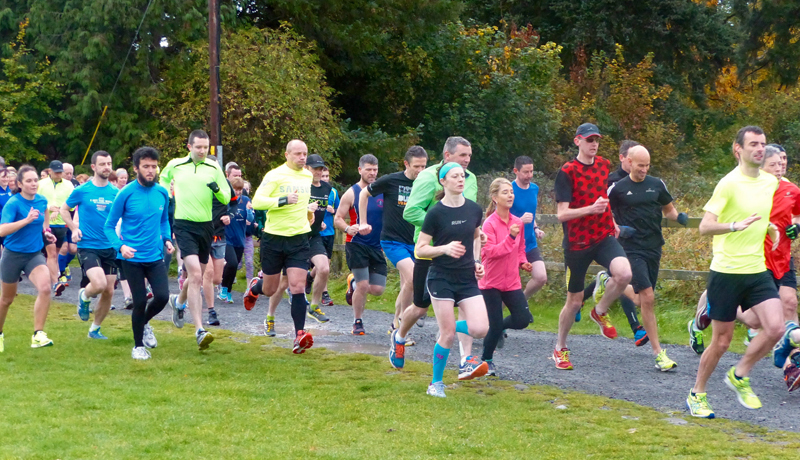 It’s not often you get the chance to take part in an inaugural parkrun. 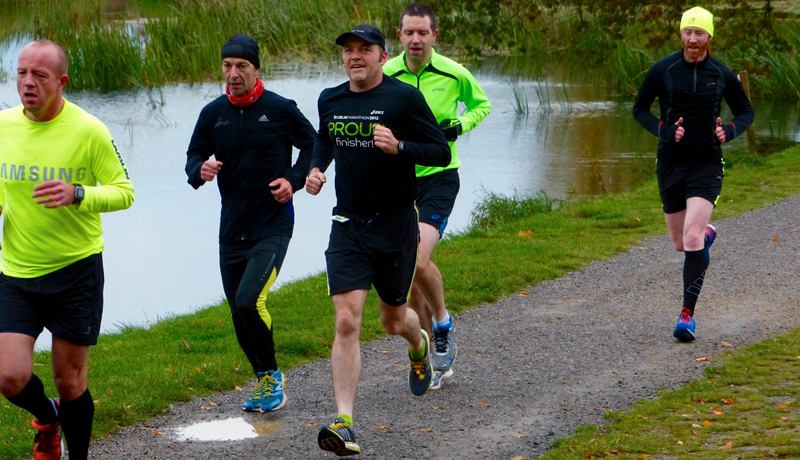 Our local one up ’til now has been Griffeen Park in Lucan. 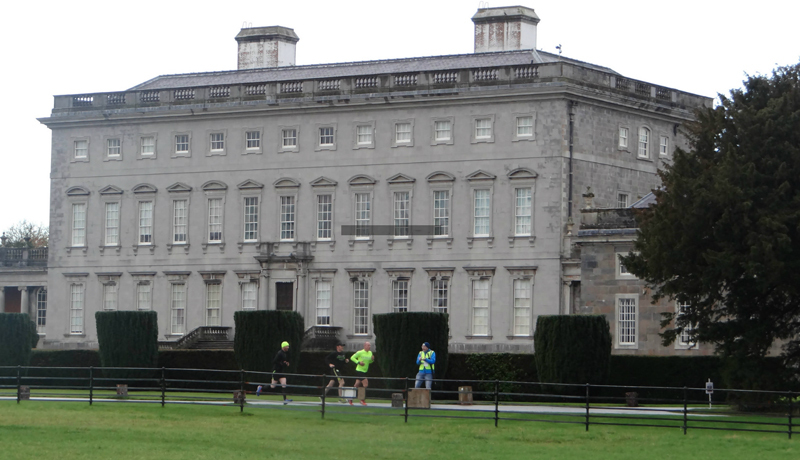 Yesterday (24th October, 2015) was the very first parkrun in the grounds of Castletown House in Celbridge. 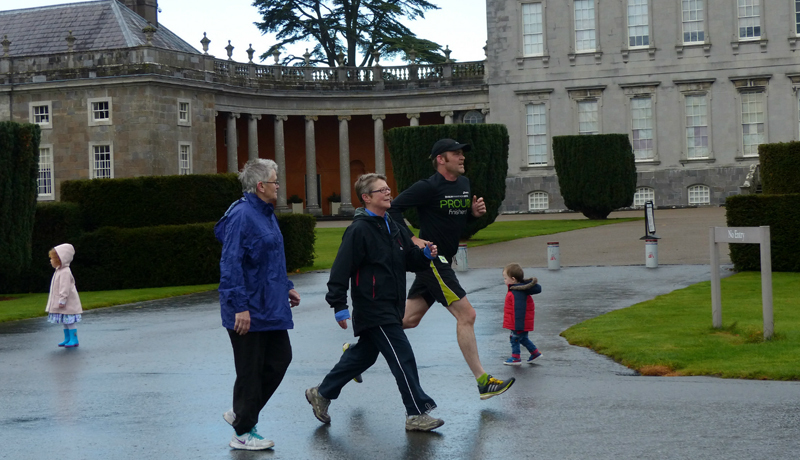 I hadn’t planned to do another 5k so soon after last week’s exertions when I managed to get my PB down another few seconds, but it seemed a shame to miss out on the very first one which is practically on our doorstep. 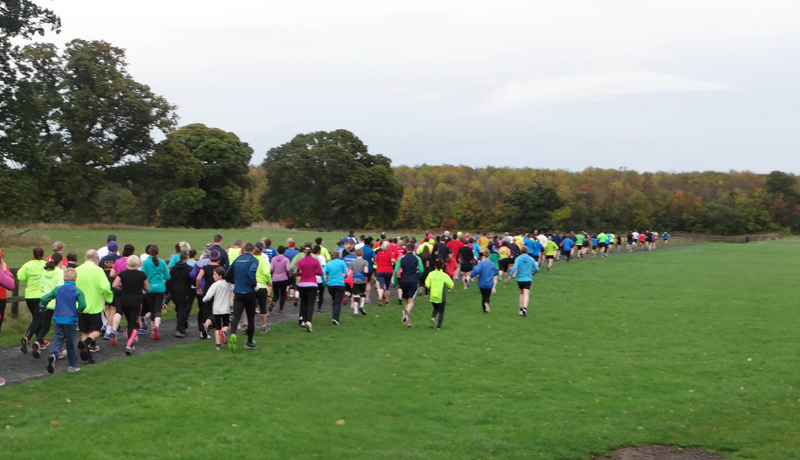 The weather was overcast, cool and damp, but a great crowd of over 180 turned out. The course begins near the front of the house and heads back towards the gate lodge known as Batty Langley, after the landscape artist who designed it, before turning right along by the Liffey. It then loops back towards the lake at the front of the house, before rejoining the road again, and then it’s a repeat for the second lap. 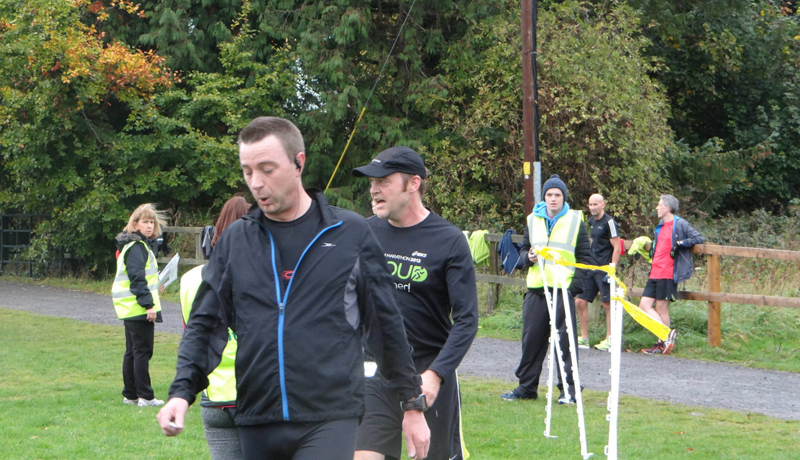 The record shows I finished 24th in a time of 22.22. I will definitely return. It’s an absolutely beautiful spot and it will be a joy to cycle over in the summer. A big thanks to Sharon and her crew for putting it on. These events can’t happen without volunteers. And I have also robbed the images from the day, so to see the full set and give credit where it’s due to the photographers, check out this link. 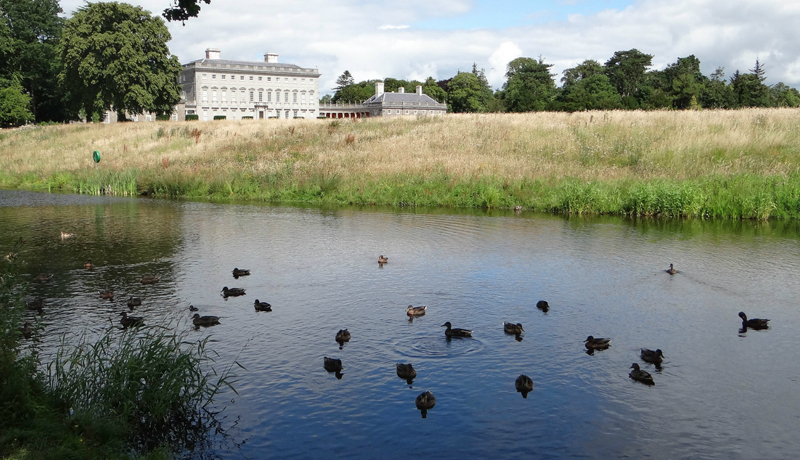 The front of Castletown House with the newly revamped duck pond! 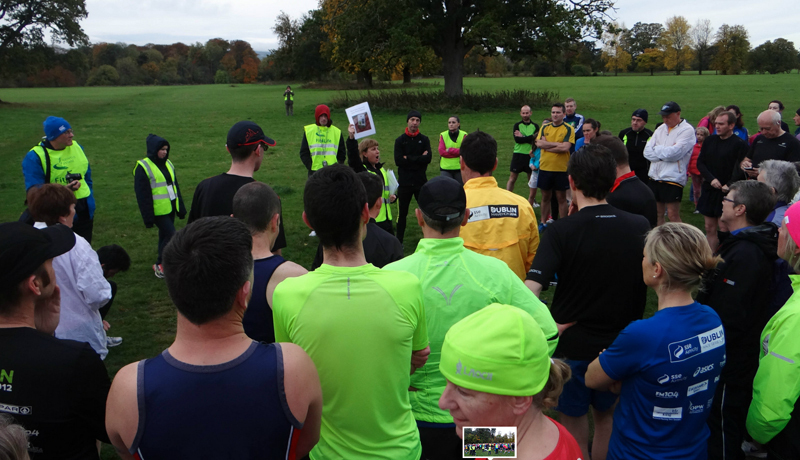 The Run Director reads us the riot act before the off. 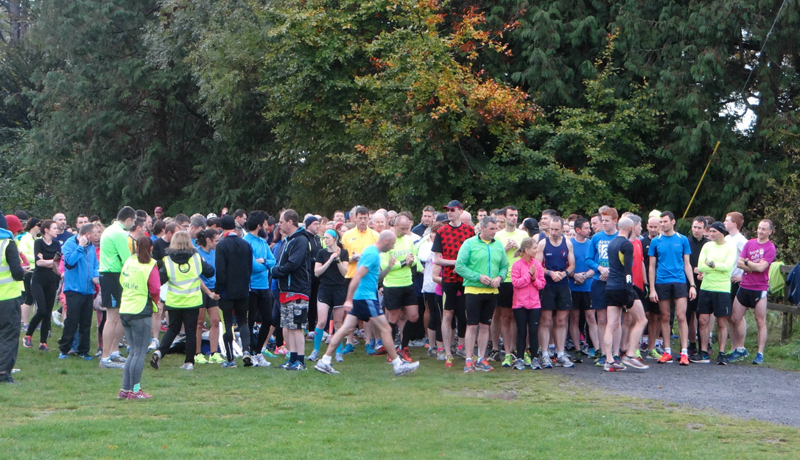 Lining up at the start. Whizzing along at great speed!!! Finishing the run and heading down the chute to pick up your tally prior to scanning. Centurion! 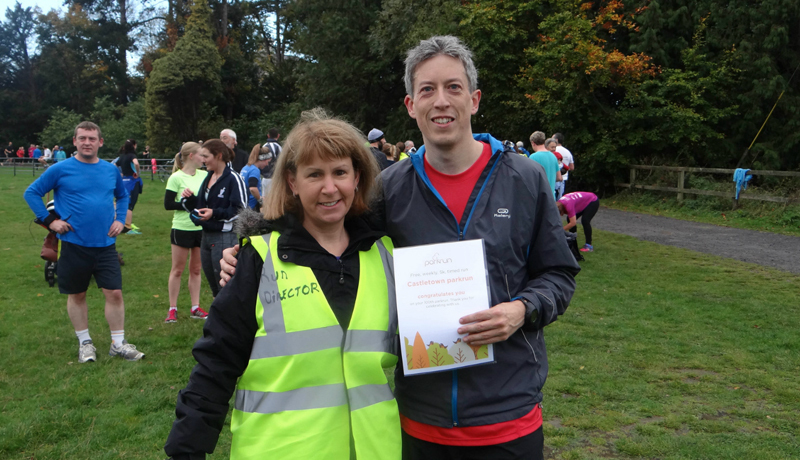 This is just another lovely feature of parkrun; recognition of participation. Athlete Simon Doyle has clocked up 100 runs and gets a certificate.